It was March 3, 1941, Pearl Harbor hadn’t happened yet, but M&M’s were just patented, and the world would never be the same. Franklin Mars, also known as Frank Mars, started the family candy business in 1902. In 1911, he started Mar-O-Bar, which eventually became Mars Candy Company. He invented the Milky Way candy bar, and the Snickers candy bar, which he named for the family horse. A few years later he invented the Three Musketeers Bar. Frank’s son Forrest was brought into the family business, but did not get along with his father. Forrest was sent to Europe to run the company overseas. It was there, rumor has it, that Forrest observed soldiers during the Spanish-Civil War, eating chocolate pieces encased in a hard sugar candy shell. He was traveling with another man from the Rowntree family, who ended up inventing a similar candy in 1937, that Nestle’s manufactures in Europe. Forrest Mars created a recipe for M&M’s. He proposed a partnership with Bruce Murrie (son of William Murrie, Hershey president). In 1941 M&M’s were introduced to the public. The M&M stand for each of the initials in their last names.They were an instant success, and propelled M&M Mars, Inc.into a multibillion dollar, multinational candy company. The chocolate candies came in 6 different colors ~ Brown, Yellow, Orange, Red, Green and Violet. In 1942, 200,000 pounds of M&M’s were produced weekly in their Newark, NJ factory, most of it going to the military. Soldiers in WWII carried the m&m's with them. By the end of the war, the factory was producing 600,000 lbs each week. In 1946, with the war over, M&M’s was readily available to the general population. In 1947, a ¼ lb bag of m&m’s was sold for 15 cents. In 1950, the famous ‘m’ was printed on each candy in black, so that consumers could tell the “real thing” from imitators. In the 1950’s the factory was producing a million lbs of m&m’s per week. The factory was running 24 hours a day. 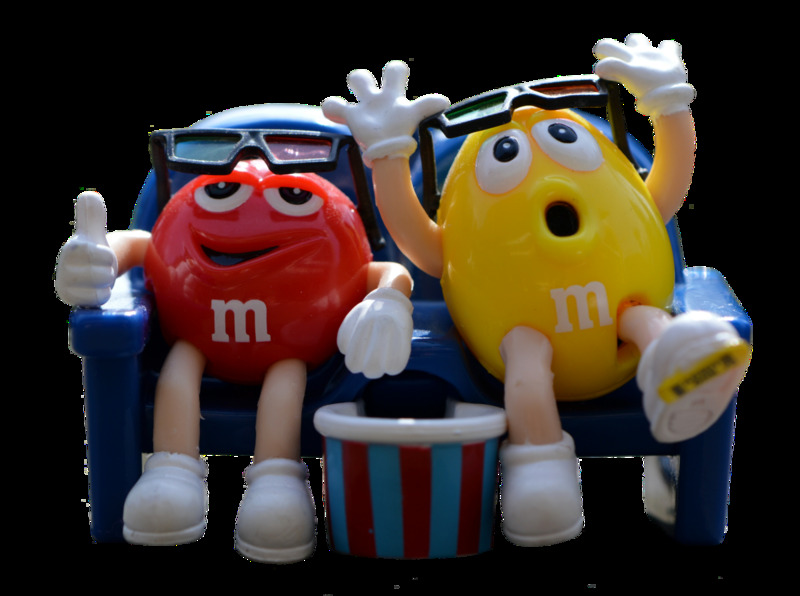 M&M’s was becoming a household word, and with tv advertising on the horizon, M&M’s would continue to grow in popularity. M&M's with peanuts were introduced in 1954, and the ‘m’ was printed in white, as it still is today. This same year, “the milk chocolate that melts in your mouth, not in your hand” became their advertising slogan. 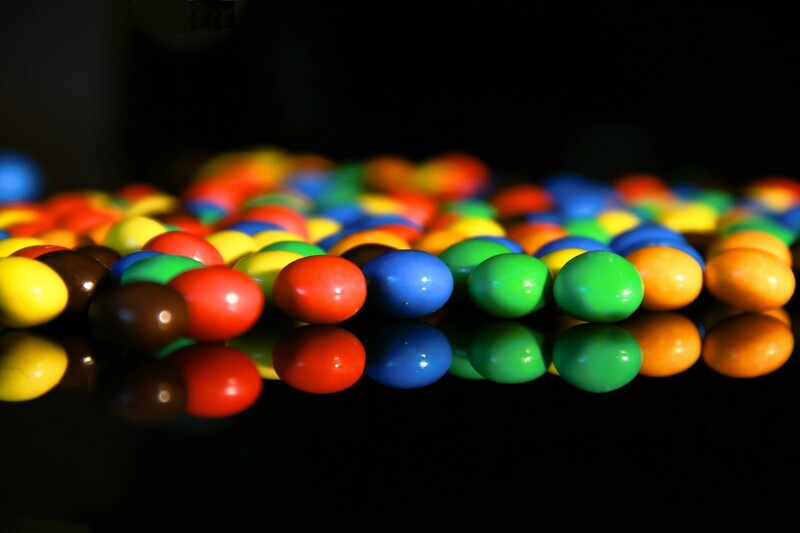 By 1958, over one million lbs of m&m’s were being consumed. In 1960, 3 additional colors were added to the chocolate peanut m&m’s, yellow, green and red. In 1972, we were introduced to the M&M brand characters. In 1976, orange m&m color was added to the chocolate peanut version. Due to public awareness about the unsafe ingredients in red food dye used at the time, Mars eliminated the red candy from the bag in 1976. Since 1981, m&m’s have gone into space over 30 times as part of the food supply for astronauts. M&M’s became the official candy of the 1984 Los Angeles Olympics. In 1987, the red color was re-introduced in the bag of candy. It was overwhelming received by the consumers. 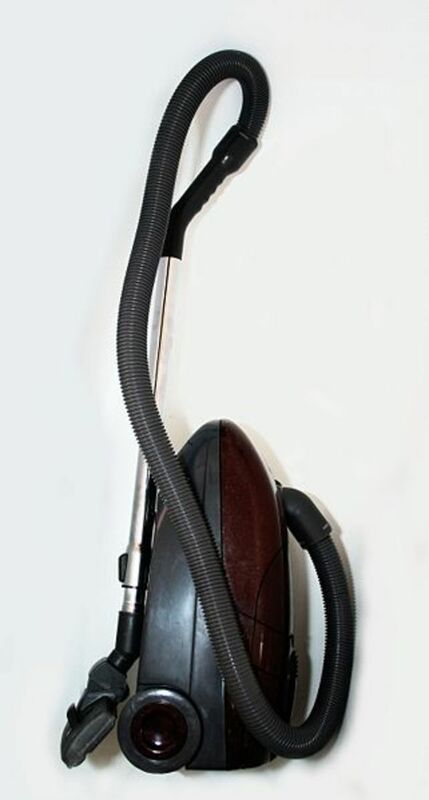 In the 1980’s the company expanded into the European and Austrailian markets. The almond m&m’s were introduced in 1988 during Christmas and Easter. Due to their popularity, these chocolate candies started to be sold year round in 1992. 1990 was another landmark year as peanut butter cream m&m candies delighted children and adults of all ages. Chocolate Chip cookies could now be made with baking bits M&M’s in 1995. 1996, mini m&m’s in a reclosable plastic container, came to market, making it more portable, and convenient to consume and carry the m&m’s around. In 2000 M&Ms declared themselves the official candy of the millennium since MM is 2000 in Roman numerals. In 2002, purple joined the assorted mix of colors.Today, the factories produce over 400 million M&M’s in all the different varieties and all the different colors. M&M’s has been one of the most successful candies sold in American history. 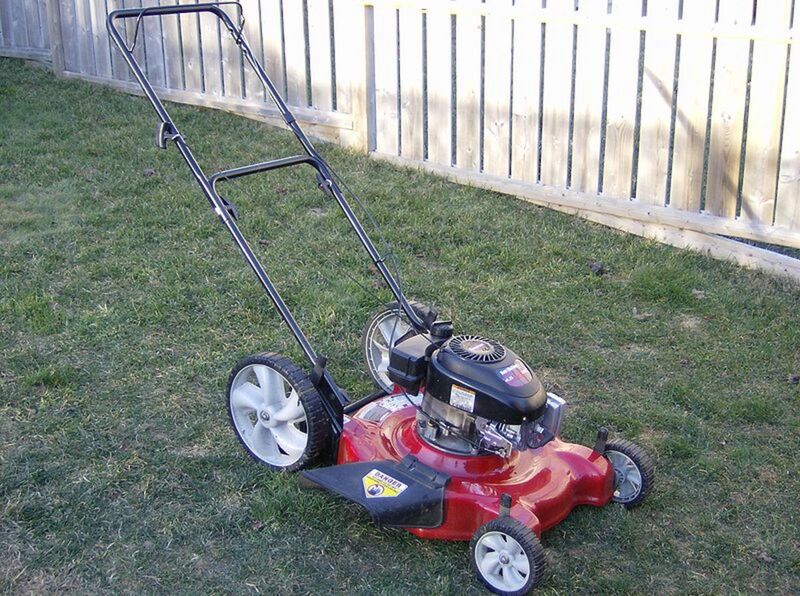 The company has been extremely successful through well done advertising. Of course, the taste and size make it palatable to snack on, and this has contributed to it being such a successful candy. M&M’s consist of 2 parts. There is a hardened liquified chocolate and then there is the candy exterior candy. The chocolate is a combination of chocolate liquor ( a thick liquid made from cocoa butter and the soft parts of the cocoa beans), cocoa butter, milk, and sugar, plus some additional ingredients. The candy shell is a combination of sugar and corn syrup. The liquidy chocolate is put into small rounded molds. This makes up the chocolate centers. With the nut candies, chocolate coats the whole peanut or almond center. 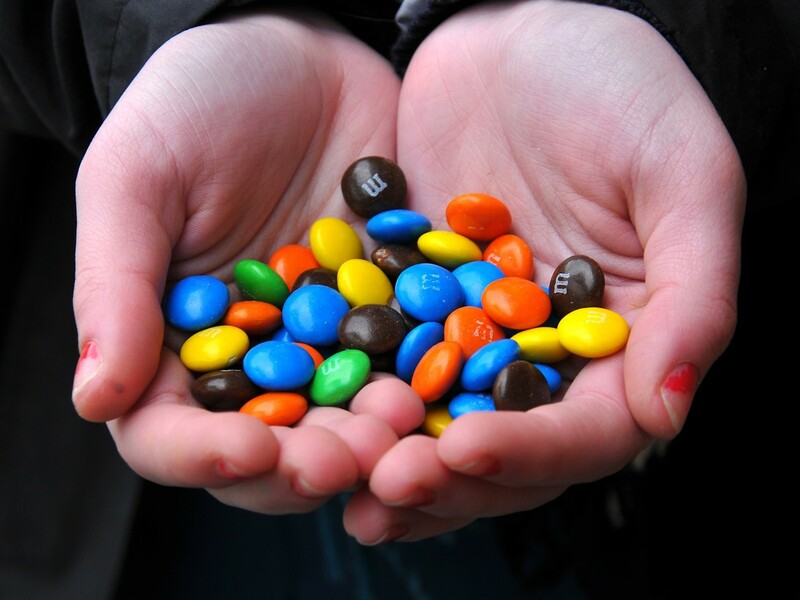 In the M&M’s with peanut butter, the chocolate envelopes the peanut butter for the delicious center flavor. In the manufacturing, the chocolate candies are tumbled to make the chocolate center smooth. They are then left to harden, and placed on a conveyor belt to be coated. They are sprayed with several coats of the candy coating to make the outer shell. Finally a color is added to the last syrup spray. M&M’s are made in batches of the same color. The colors are all mixed together, and moved on a conveyor belt where the trademark ‘m’ is gently printed on each candy. Sometimes the ‘m” doesn’t get imprinted, due to a small variation in the shape of some candies. Imperfectly shaped candies are removed. (I wonder who gets to eat them?) The candies are then weighed and a package is filled with the assorted colors, then the bag is heat sealed. According to the company, the colors of Milk Chocolate M&M’s has 30% brown, 20 % yellow, 20 % red, 10 % green, 10 % orange, and 10 % blue colors. (In 1995, America voted for a new color for the M&M candies color and blue won by 54%.) 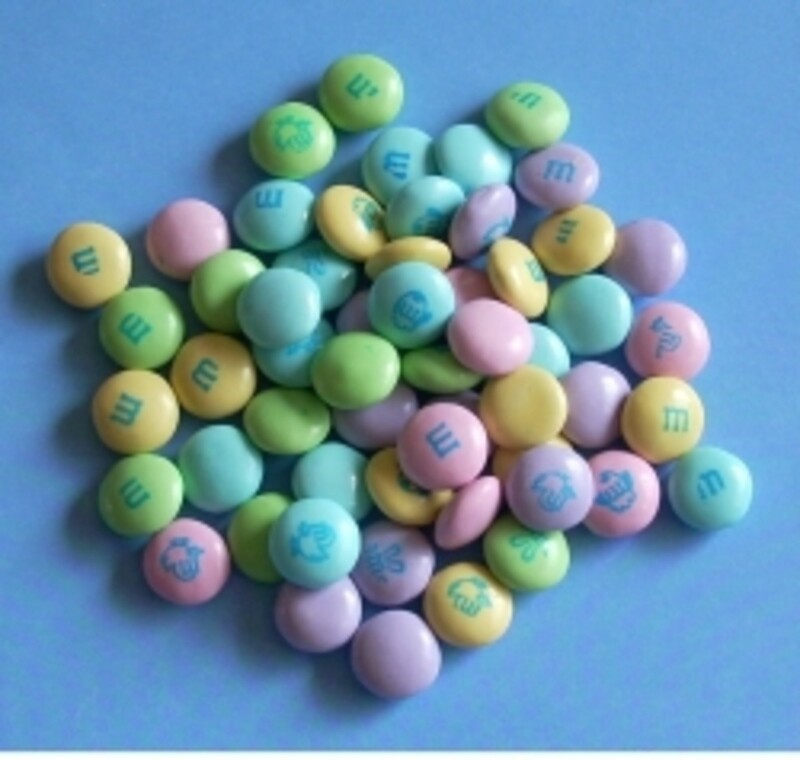 Different varieties of M&M candies have different percent of color mix in each bag. We have gotten to know the M&M characters and their charming personalities. We can visit M&M World Retail Stores. M&M’s can be imprinted with personal messages. The future of M&M’s will continue to bring us new and innovative experiences. After all of this M&M knowledge, did this chocolate candy really change the world? No one can say for sure, but maybe it did. Did M&M’s perhaps help us win WWII? Maybe, it certainly didn’t hurt the war effort. Did M&M’s help avert an earlier economic downturn? Perhps it is worth considering that the amount of consumer purchases may have helped keep the economy going longer. Did M&M’s inspire greatness in scientific discoveries, or helped us be happier,and keep our spirits up, due to the delectable taste of these candies? Have marketing geniuses been made because of M&M’s outstanding advertising campaign? Have M&M’s helped conserve water due to less mess because they “melt in your mouth, not in your hand”? We may never know if M&M’s candies changed the world, all I know is that now I having a craving for M&M’s! What is Your M&M Mood? Very interesting information! I love the new pretzel m&m candies. Now I want to go the store and pick up a bag! Great hub, lots of interesting facts...I was just wondering in recent days what the M's stood for. Wow, a great history lesson on the little chocolate candies. Enjoy all the M&M new flavors...peanut, coconut, plain and now pretzel. They even have peanut butter. I even enjoy the mini's. Did you know that the mini tubes will hold about $14. in quarters. Great way to get the kids to start a savings...by putting them in the tube. :) Great hub! 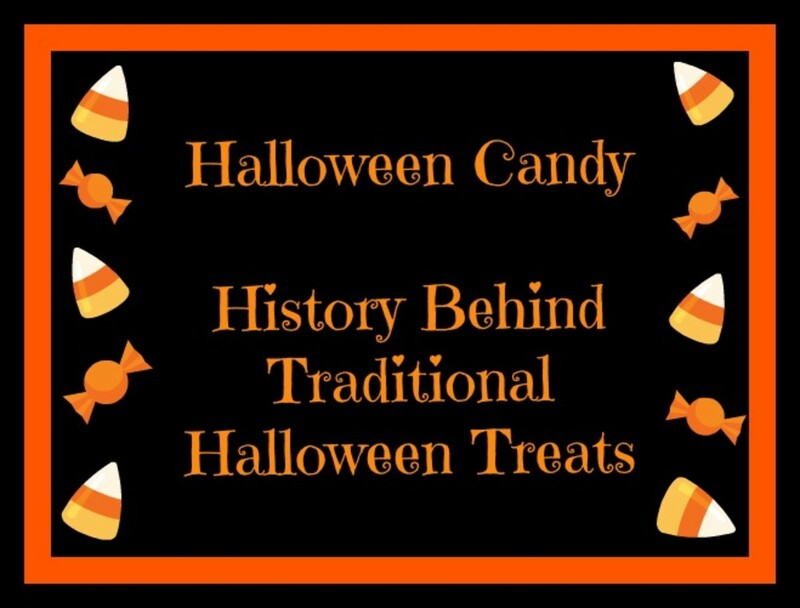 Thank you for this information,i did not know the history of how the candy company started or how the M&M became a great candy treat. I enjoyed reading your interesting hub and learned something i did not know, awesome! I LOVE M&Ms... can't live without them. I eat them all the time. At every special occasion, my guests know I will have plenty of M&Ms on hand. My favorite is peanut M&Ms. I've recently tried the new pretzel and coconut M&Ms. The pretzel ones are pretty good, I'm not too crazy about the coconut. Great history & learning experience on this delectable candy. Today, medical experts are talking about the potential health benefits of chocolate, especially the "dark" variety such as cocoa or anything that is not refined too much or contain a substantial amount of sugar. I would like to see how this plays out over the next few years. Fun Hub & Thanks for the presentation. I could eat a bunch but since I have to limit carbohydrates I tend to not buy them. Fascinating hub. I am going out to buy some now. You never really think about how candies got started. You only think about how many are left until the bag is empty! Thanks for the insight.